home to more than 20 percent of the world's population. Though the Paris climate accord has long been criticized by environmentalists and researchers as wholly inadequate to the task of confronting the climate crisis already wreaking havoc across the globe, the agreement's central objective is keeping average global temperatures from rising 2°C by the end of the century. 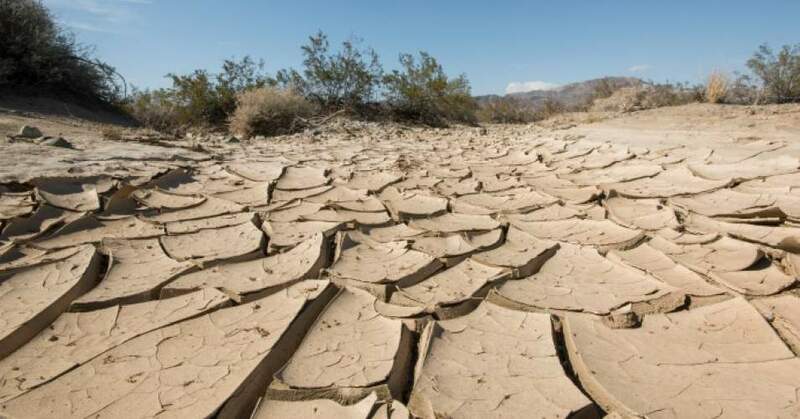 Meeting that mark by taking "early action" would substantially "constrain" the spread of drought, the study concluded. The problem, of course, is that the world's second-largest emitter of carbon—the United States—has, under the leadership of President Donald Trump, withdrawn from the Paris accord and begun to move in the opposite direction that scientists have recommended. During his first year in office, Trump has moved at a rapid pace to gut even the most basic environmental protections put in place by the Obama administration and has shown little sign of slowing down. Trump also appeared to indicate that he wouldn't mind a perpetually warming planet last week, when he tweeted that the U.S. "could use a little bit of that good old global warming" to combat the cold weather currently gripping eastern states. "Please let someone preserve this tweet forever so that future generations at least know why the American government didn’t take action to deal with the climate change crisis that now afflicts them," concluded David Sirota of the International Business Times.